Which three coaches will be on the hot seat when October rolls around? It will not be any different than what it is now. 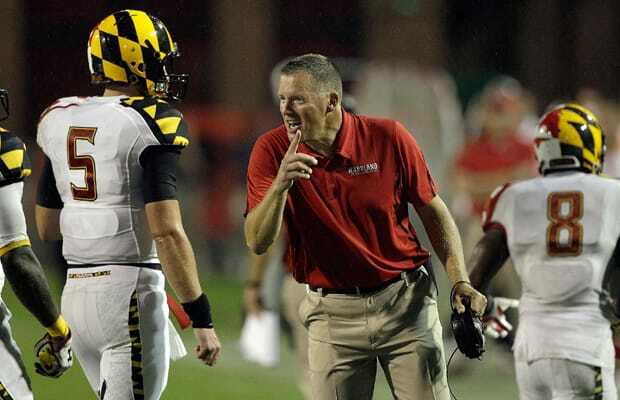 Maryland will struggle, so Randy Edsall might get fired in the middle of the season, because of their schedule. Joker Phillips at Kentucky is in a tough position. The team is not talented enough to compete in the SEC and their quarterbacks haven’t panned out. Derrick Dooley at Tennessee should win enough games to stay around for another year. Maybe Tommy Tuberville at Texas Tech could be on the hot seat. They return a bunch of players and had been to a bowl several years in a row until he got there. He could be 3-6 going into November, which may put a lot of heat on him to win against Oklahoma State and Baylor late in the year to keep his job.